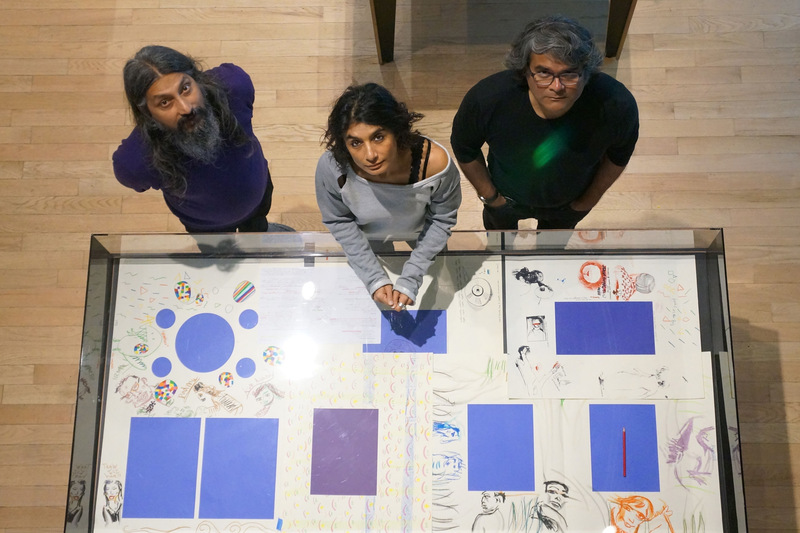 The members of Raqs Media Collective enjoy playing a plurality of roles, often appearing as artists, occasionally as curators, sometimes as philosophical agents provocateurs. 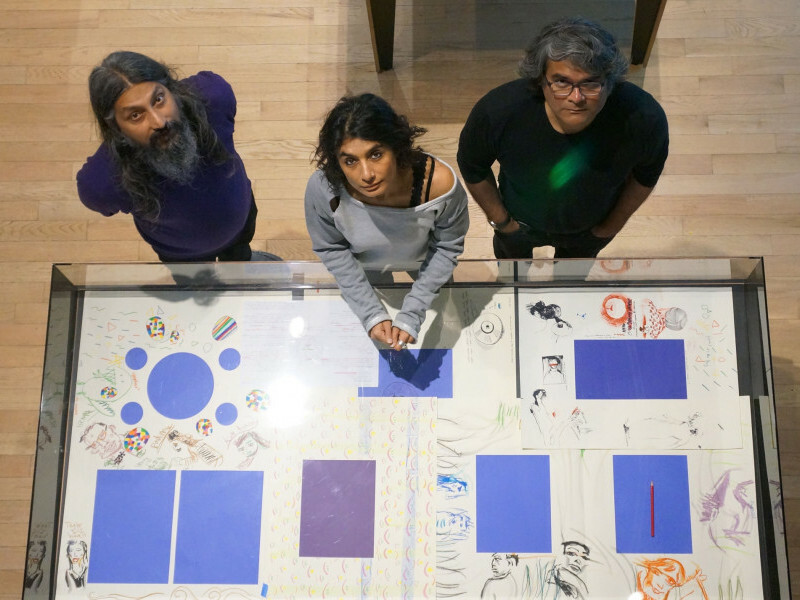 Raqs Media Collective enjoys playing a plurality of roles, appearing often as artists, occasionally as curators, and sometimes as philosophical agents provocateurs. Raqs members create installations, exhibitions and art interventions in public spaces; produce videos, photographs, print and online works; write essays; edit books; design events and foster collaboration with architects, computer programmers, writers and theatre directors. They have also founded processes that have become an influential force in contemporary intellectual and cultural life. Raqs work has been shown in solo exhibitions at the School of the Museum of Fine Arts, Tufts University, Boston (2015); Isabella Stewart Gardner Museum, Boston (2012); BALTIC Centre for Contemporary Art, Gateshead, UK (2010); Tate Britain, London (2009); Asia Art Archive, Hong Kong (2009) and Palais des Beaux Arts, Brussels (2004), among others. 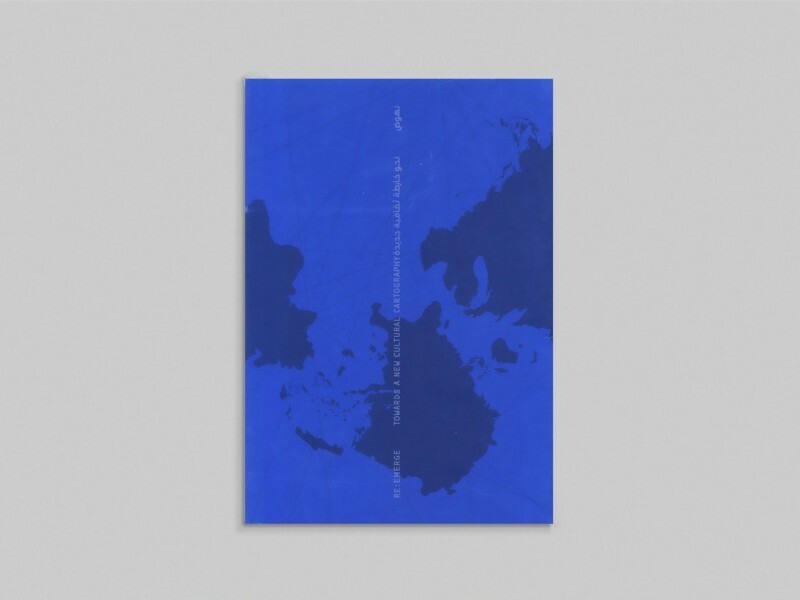 Raqs work has also been exhibited at biennials in Shanghai, Venice, Kochi, Sharjah, Istanbul, Taipei, Liverpool, Sydney and Sao Paulo as well as at Documenta (2002). Works by Raqs are part of several contemporary art and museum collections, and their essays have been published in numerous anthologies. Raqs members have curated a number of exhibitions, including Why Not Ask Again, 11th Shanghai Biennale (2016-2017); INSERT2014, Delhi (2014); Sarai Reader 09: The Exhibition, Devi Art Foundation, Gurgaon, India (2012-2013) and Manifesta 7, European Biennial of Contemporary Art, Bolzano, Italy (2008). In 2000, Raqs co-founded the Sarai initiative at the Centre for the Study of Developing Societies in Delhi and the Sarai Reader Series, which they edited till 2013. Raqs received the Multitude Art Prize, Ullens Centre for Contemporary Art, Beijing (2013). Raqs Media Collective was part of Sharjah Biennial 11 and 13. Over the past two decades, Raqs Media Collective has played a plurality of roles, as artists, curators and philosophical agent provocateurs.